Our Same Day Delivery Promise: Save on it today, enjoy it tonight! 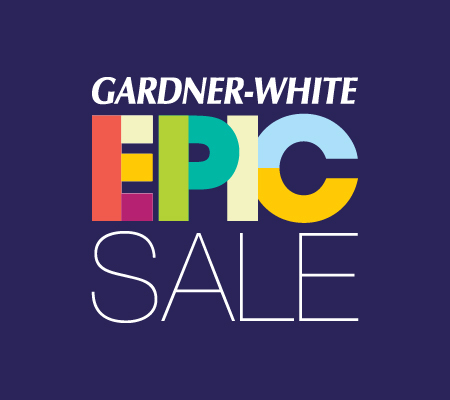 Purchase merchandise at Gardner-White today, and enjoy it tonight every single day of the week! Gardner-White is proud to be the only company in Michigan offering exclusive same day delivery to our customers. Gardner-White delivers 7 days a week, excluding major holidays. Daytime deliveries begin at 8:00 AM and continue throughout the day. Evening delivery times are between 4:00 PM and 11:00 PM Monday through Sunday. Same day delivery times are available between 4:00 PM and 11:00 PM. 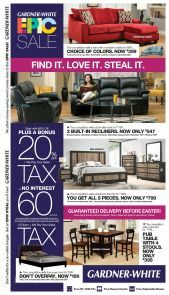 Same day deliveries made Monday through Sunday must be placed by 3:00 PM in-store and by 2:00 PM if purchasing online or by phone. Some areas outside our typical delivery zones are limited to specified days of delivery. On the day of your scheduled delivery, you will receive a call with an estimated delivery window of 2.5 hours. Let your delivery coordinator know who will meet the truck at your home and provide that person’s phone number, in case of a delay. On your delivery day, you can enter your order number or telephone number in our Delivery Tracker to locate where your furniture is in real time. Drivers cannot deliver furniture unless someone 18 years or older is at the home at the time of delivery. New furniture often seems larger in your home than in a store setting. Consider how your new furniture will fit into your home. Use our handy "Will it Fit" measurement guide to ensure furniture will fit through your home’s doorways, hallways and/or elevator before purchasing. Have your room ready for your new furniture -- clear of existing furniture. Place your furniture in the location you select. Put shelves in entertainment centers and china cabinets. Remove boxes and packing materials. Read more about our free pick-up services below. Items shipped via FedEx are delivered to your door ONLY and are shipped in their original factory wrap. Some items that are delivered to your door may require some assembly. These items normally ship within 7-10 business days and cannot be cancelled after the order is placed. A tracking number will be provided to you as soon as it is available (this often takes 5-7 days). If you decide you no longer want the item, you will be held to the Return Policy described here. Shipping dates are subject to manufacturer’s availability and discounts will not be given for backorder merchandise. You will be contacted by a Gardner-White representative if your merchandise is not available for immediate shipping. Larger items delivered outside of our service area will be shipped by a 3rd party home delivery carrier. The cost of the carrier shipping includes basic installation of your furniture or mattress, and is determined by the weight and size of the items you purchase. Gardner-White has partnered with the Salvation Army to offer pick-up service of your used furniture in advance of your Gardner-White delivery. When you place your order, you can elect to have a separate pick-up of your used furniture. The Salvation Army sells your used furniture, with proceedings supporting their local operations and benefiting our entire community. Please consult with your sales associate about this option at the time of sale.